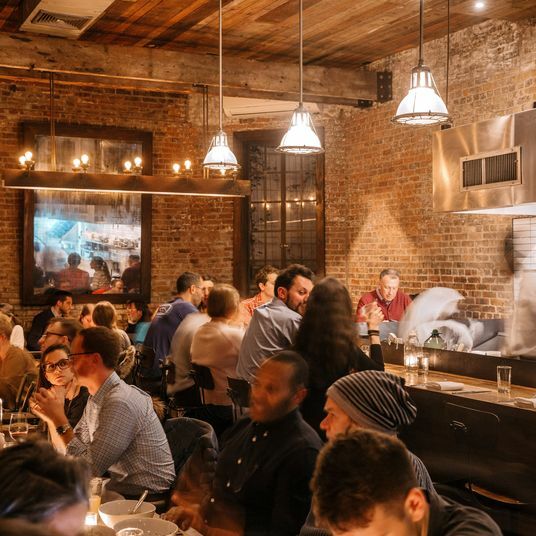 Many associate Bushwick’s arrival as a dining destination with the opening of Roberta’s, the hipster pizzeria turned culinary complex. 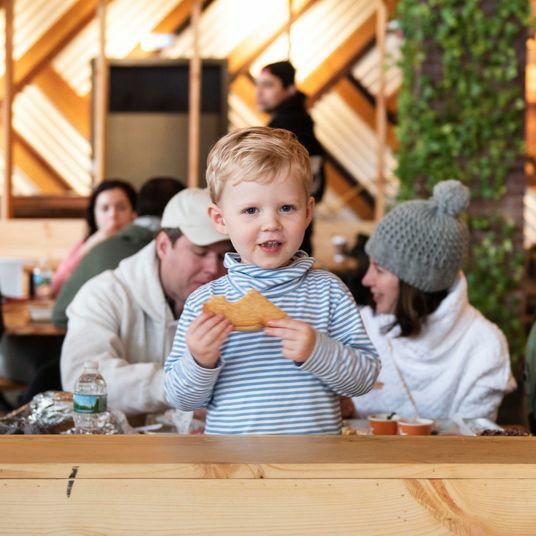 But before that, Northeast Kingdom established a locavore, farm-to-table presence in a neighborhood already inhabited by tortilla factories and modest Latino spots. With new residents priced out of adjacent Williamsburg flooding the area — which we define as east of Bushwick Avenue, south of Johnson Avenue, north of Broadway, and west of Cypress Avenue — Bushwick’s postindustrial landscape continues to sprout restaurants and bars characterized by eclectic cuisines and low-key dining rooms that feel more personal and idiosyncratic than those in many of the city’s more established restaurant hubs. 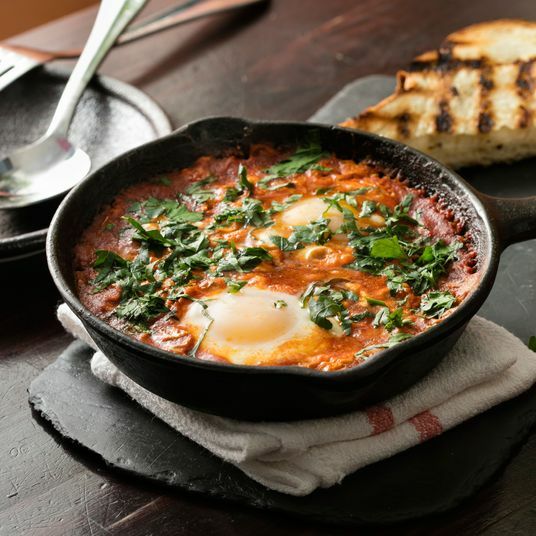 Shake Shack has yet to arrive, but Artichoke Basille’s has, as well as a Basque-inspired cider house, a vegan Ethiopian restaurant, a renowned Japanese ramen chain, and a Tex-Mex tiki bar — plus enough new wood-fired pizzerias to keep Roberta’s on its toes. 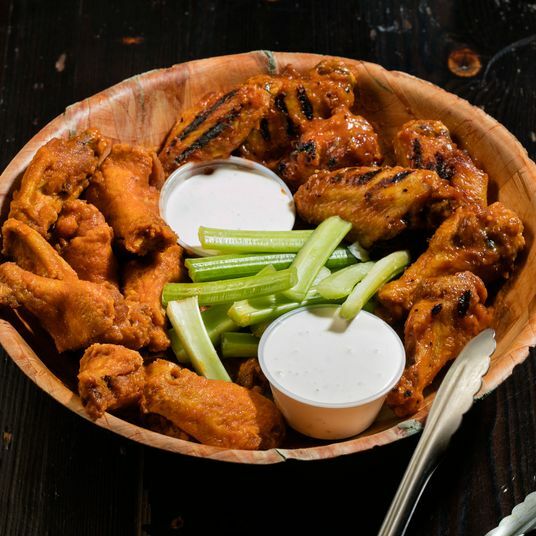 Here, the absolute best restaurants in Bushwick. 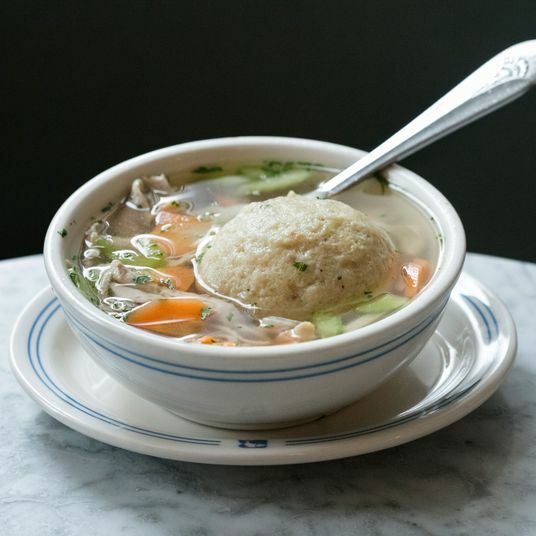 Kevin Adey cooked at the pioneering Northeast Kingdom, which qualifies him as Bushwick restaurant royalty. His first solo project (in partnership with his wife, Debbie), situated inside the spare and lofty setting of a onetime warehouse for MoMA artwork, has won him a devoted local following, not to mention one of the borough’s few Michelin stars. 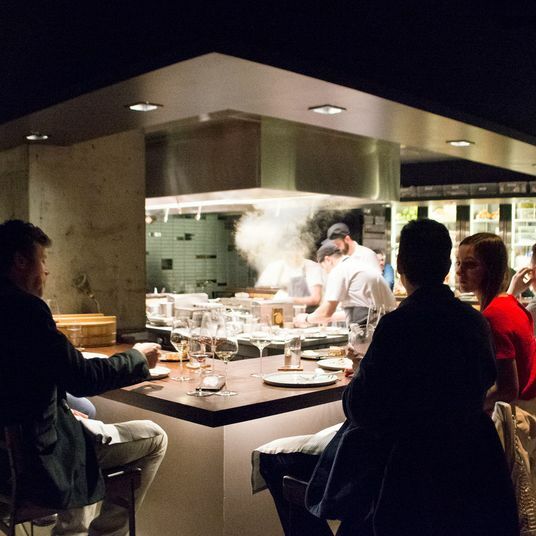 He holds forth in the open wood-fired kitchen, where he engages in such au courant practices as animal butchery, flour milling, and weekend tasting menus. 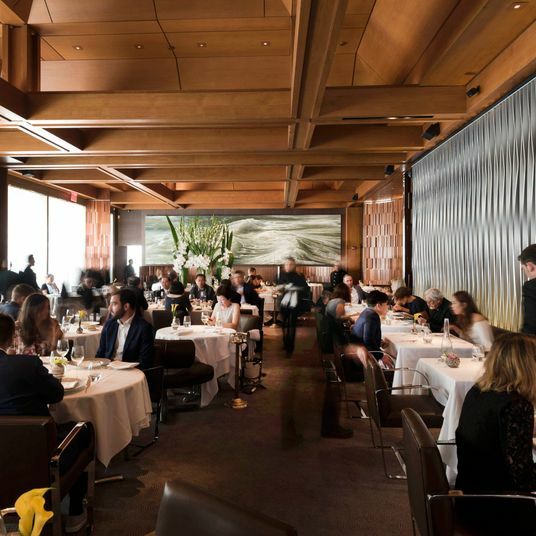 The main attraction, though, is the roster of seasonal housemade pastas like gnocchi with rabbit and charred asparagus or jet-black chitarra with squid ink — each plate casual yet sophisticated, delicate yet satisfying, much like the restaurant itself. 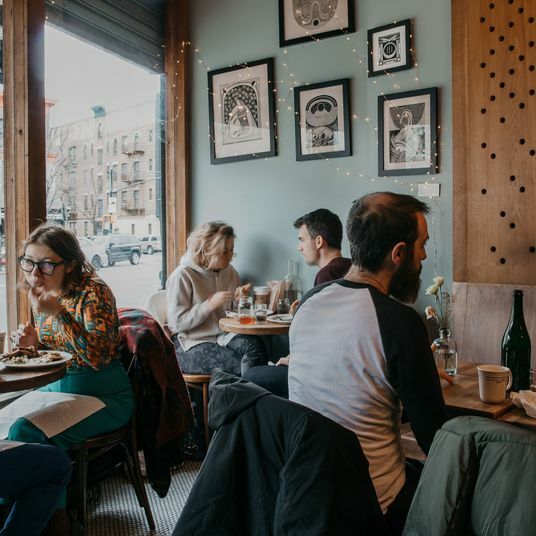 Though you can now find their frozen pizza in your supermarket or grab a pie at various food halls and pop-ups around town, Roberta’s is still synonymous with Bushwick dining, and continues to exert an outsize presence in the ‘hood. Since the pizzeria’s understated opening in 2007, a small compound has grown up around the cinder-blocked dining room. 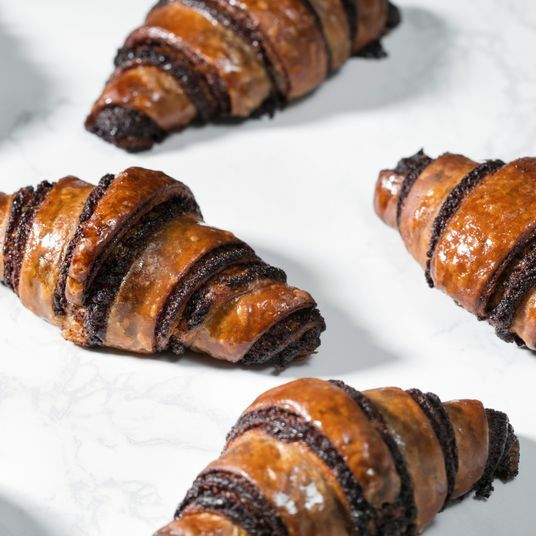 There’s a bakery and takeout spot, a garden, a radio station housed in a shipping container, even a separate tasting-menu-only restaurant, Blanca, discreetly tucked into a building out back. Despite this whirlwind of activity, the place continues to churn out great, inventive pizza, like the speck-and-cremini Speckenwolf, intriguing vegetable plates, and solid entrées in a casual, inclusive environment, a combination that makes it not only one of the best places to eat in Bushwick, but citywide. At New York’s first dedicated vegan Ethiopian restaurant, the entire menu is available à la carte, but you’re better off ordering the feast for two: All nine of the sautéed, stewed, simmered, and puréed dishes — including misir wot, red lentils cooked with a spicy berbere sauce; butecha selata, a mixture of vegetables and chickpea-flour stuffing; and gomen, steamed collard greens with ginger and garlic — are served on Ethiopia’s national teff-and-barley flatbread, injera. The food’s just one part of the experience, though. Bunna means coffee in Amharic, and the café’s traditional coffee ceremony is a warming reminder of the bean’s Northeast African roots. A wood-fired Neapolitan pizzeria where you might not expect to find it: nearly hidden beneath the elevated J/Z subway line on the border of Bushwick and Bed-Stuy. But this recent entrant to Brooklyn’s crowded pizza field is no Roberta’s clone. The pies are thin and crispy, and the toppings deft and balanced (try the Napoli, dotted with anchovies, capers, and kalamata olives). Many of the most creative combinations appear as daily specials, and to maximize your sampling pleasure, every pizza is available in two sizes, the 12-inch regular or a 6-inch half. 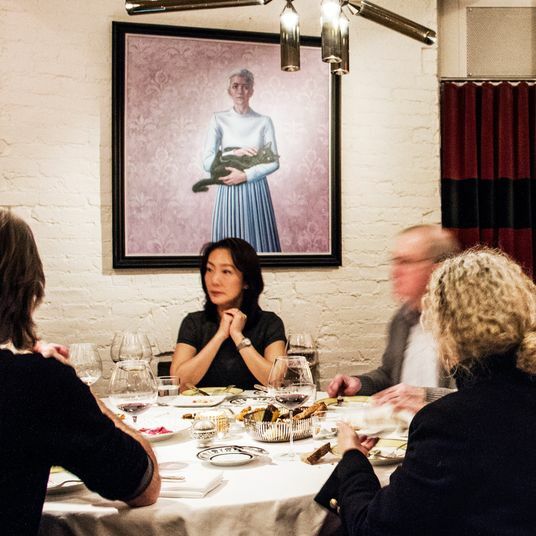 The menu at Maite (pronounced MY-tay) is written on a long chalkboard with minimal description and no differentiation between courses. But the friendly staff eagerly guides you through the references to Italian, Basque, and chef-partner Ella Schmidt’s native Colombian cuisines. Specific preparations depend on that day’s market haul: The fillings for the crisp, little empanaditas change all the time, which keeps things interesting, and you can count on mainstays like burrata and gnocchi in various form, although the exact plating can’t be predicted. 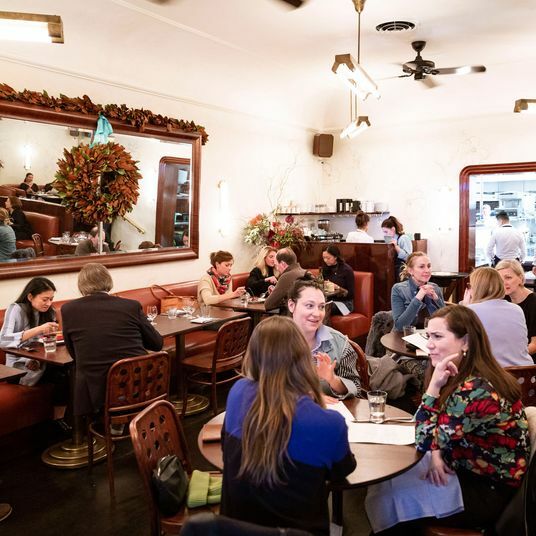 Neither can the order in which they arrive, but that’s part of the appeal of this cozy neighborhood restaurant where you feel welcome to linger, drink, and eat for hours, yet never taste the same thing twice. 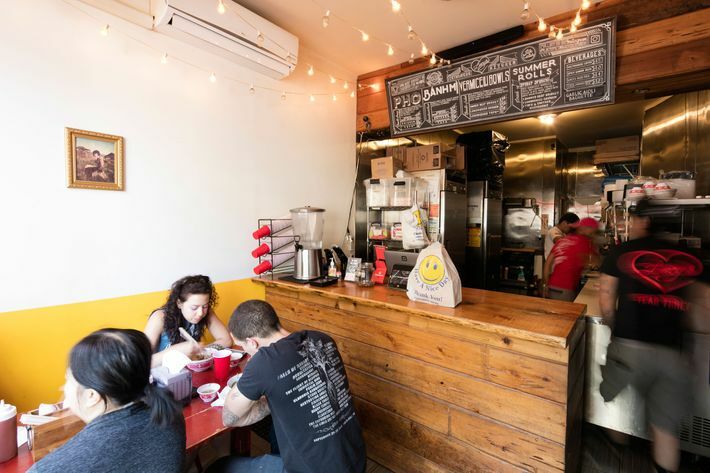 Since 2006, when this tortilla factory opened a clandestine taco stand on-site, it’s been a popular neighborhood destination and one of Bushwick’s culinary claims to fame. Those tables in the loading dock constitute the dining room, and it’s not uncommon to catch employees bagging stacks of just-off-the-press corn tortillas while you eat. But it’s not just the proximity to fresh tortillas that make these the best tacos in the vicinity. 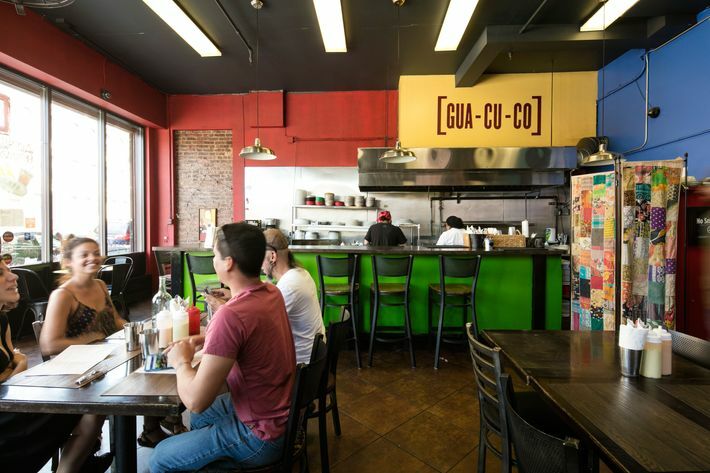 The fillings, including the crowd favorite ground chorizo and reliably tender carnitas, stand up to their corn-masa casings, and benefit from a squirt or two of the housemade chipotle and tomatillo salsas. When it first opened in an otherwise remote stretch of Maspeth, Queens, Bunker was lauded for chef Jimmy Tu’s new take on classic Vietnamese street food. 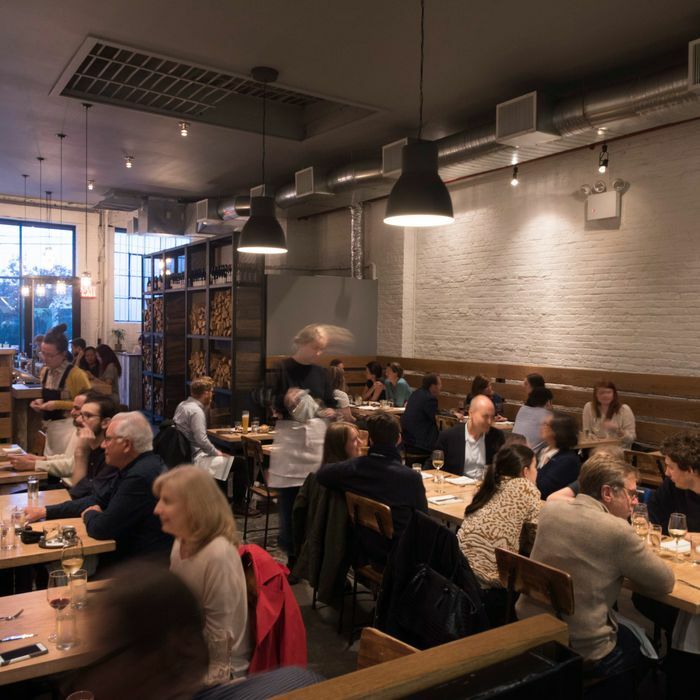 The restaurant moved to a slightly-less-industrial block of Bushwick in early 2017, and with the new, larger space came a much-expanded menu, though it retains the casual, street-food-inspired cuisine and atmosphere of the original. Perennial favorites include the always-crisp bánh xèo pancakes and the unique Havarti cheese and mushroom bánh mì, made with mushrooms grown next door at a mycological start-up. But even with the increased floor space, demand for some of the city’s best pho remains high, so either make a reservation or be prepared to wait around for a table or stool. Opening a Sichuan restaurant doesn’t seem like the obvious next step after making your name with rustic, Italian-accented locavore American food, especially in Bushwick, where the norm for Chinese cuisine is takeout counters that also serve crinkled French fries. 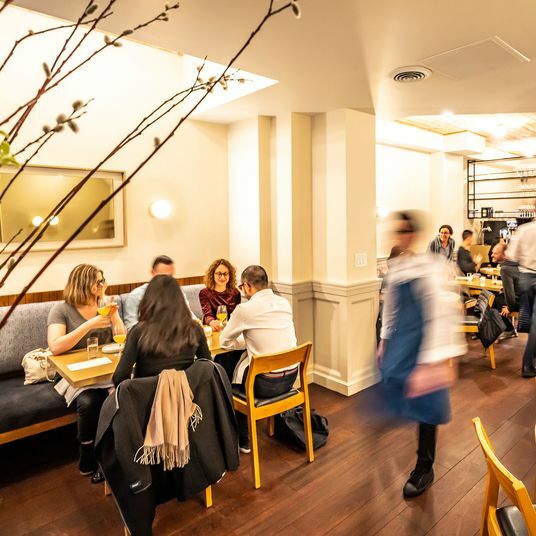 But that’s exactly what Faro chef-owner Kevin Adey and his wife, Debbie, have done with General Deb’s, located just two blocks away from their pasta kitchen. And though the restaurant offers something new to the area, the menu will be exceedingly familiar to anyone with a taste for tongue-numbing Sichuan cuisine. 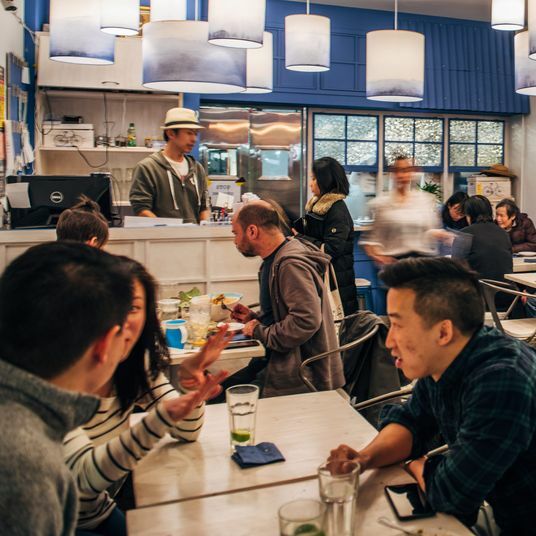 There’s crisp, twice-cooked pork with fermented black beans, made with sustainably raised meat; mapo tofu, with pillowy housemade bean curd; and hand-crimped wontons, served cold and slicked with red-chile oil, that stand up to most anything you might find in Flushing. Charmant, très charmant. What else is there to say about this mother-and-daughter bistro on a quiet side street except that every single element of it warms the heart? The pop of yellow paint in the industrial space; a heavenly skylight; the photographs of Catherine Allswang, the owner of numerous restaurants in Paris and San Francisco, who helped her daughter, Rachel Allswang, open Le Garage in 2015. Rachel herself, an interior designer, flits about the tables, all motion blur and graciousness. And Catherine, too, in the kitchen, cooking potatoes in duck fat till they’re as crisp as autumn leaves, or dressing the magret de canard with a piquant kumquat chutney with sesame-braised cabbage and honey. —J.D.S. The wood-fired pizza at Ops is good, with a slightly chewier sourdough crust and a juicier, tangier sauce than some of the other pies in Bushwick, and the other seasonal, vegetable-forward entrées are crowd-pleasing, albeit straightforward. But what makes Ops special is its ever-rotating selection of affordable natural wines, with every bottle also served by the glass. Cozy bench seating helps foster a comfortable sense of community and conversation between diners and even staff. It’s a neighborhood spot where you’ll want to stay for that extra glass of wine, and will always feel welcome to do so. 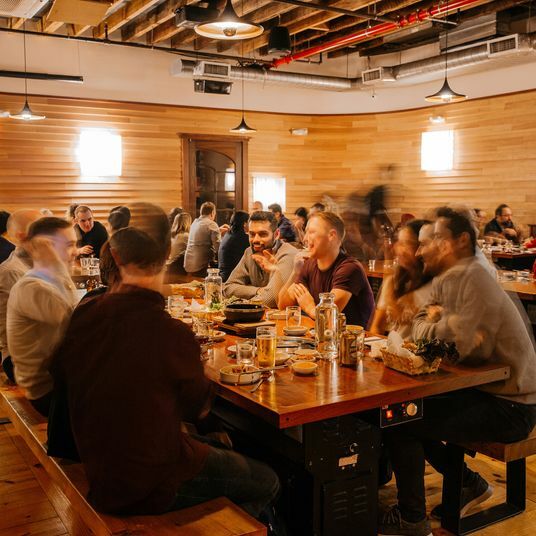 The menu is limited; the space is small, with only a red communal table by way of seating; and bánh mì traditionalists might be shocked by the lack of pork. 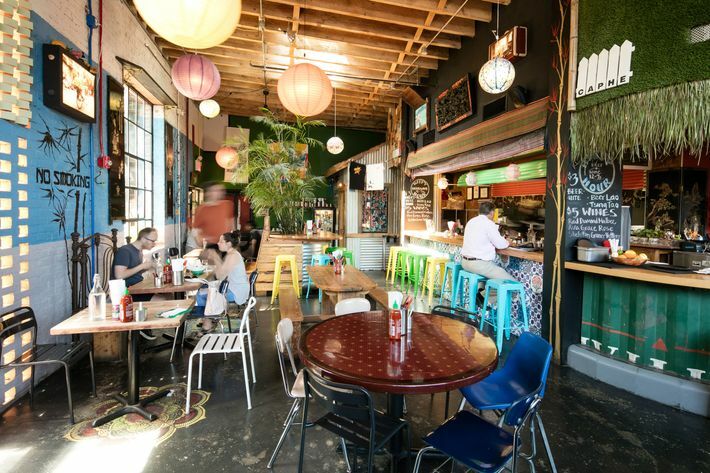 But Lucy’s Vietnamese Kitchen is a local spot, often cited by neighbors as a favorite. And the brisket — smoked for 14 hours, cut into thick slabs like Texas barbecue, and served either in a bowl of pho or on a bánh mì — will give you more than enough reason to throw tradition out the window. 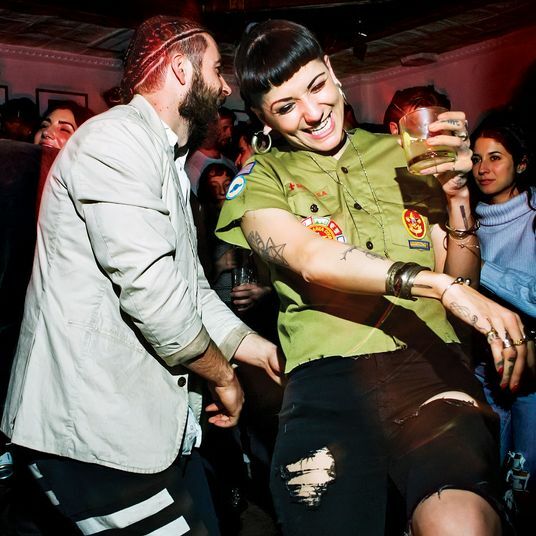 With its millennial-pink tables, brass chairs, turquoise stools, and backlit, floor-to-ceiling shelves showcasing a prodigious rum selection, Nicaraguan-inspired Chicha might be Bushwick’s most photogenic restaurant. That liquor is the main attraction, in case the red, neon RUM sign by the front door isn’t a giveaway. Try it in the Instagram-friendly ombré purple Blufields Swizzle, a blend of four rums and butterfly pea flower, or the Nitro Cafecito, an espresso Martini of sorts made with Flor de Caña rum and Nicaraguan cold-brew coffee. Dishes like quesillo — tiny tortillas with hand-pulled cheese — seem designed to complement the drinking, as small plates for snacking and sharing rather than full-size entrées, but they’re satisfying nonetheless. There are rules to follow when you eat at Ichiran Ramen, most of which are explained on laminated signs in polite but stern terms. They warn that conversations and cell phones must be silenced and noodles must be slurped as quickly as possible. 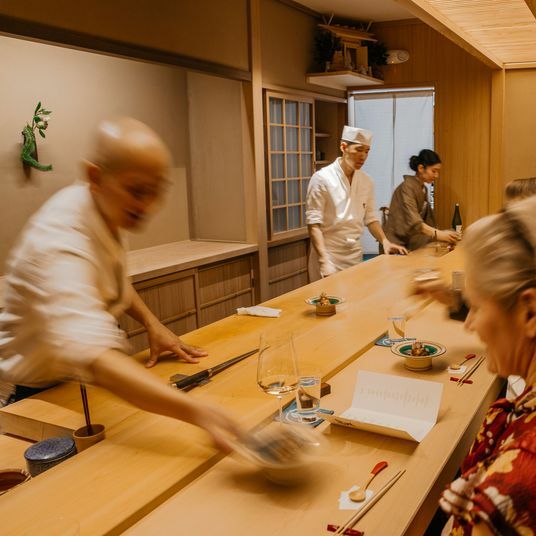 But protocol seems to have relaxed since this Japanese chain first landed in Brooklyn in 2016, and silent, solo dining is no longer mandatory. Couples can roll back the partitions between counter seats to share food and chat, and the server even spoke to me when I first sat down, instead of simply retrieving my order form. The tonkotsu ramen, however, is as warming as ever, with slurpable-yet-chewy noodles and a rich broth that you can customize with oil and spice to your liking. The newest add-on is a soft-boiled egg, which comes with a slip of paper illustrating the best technique to crack it open, of course. 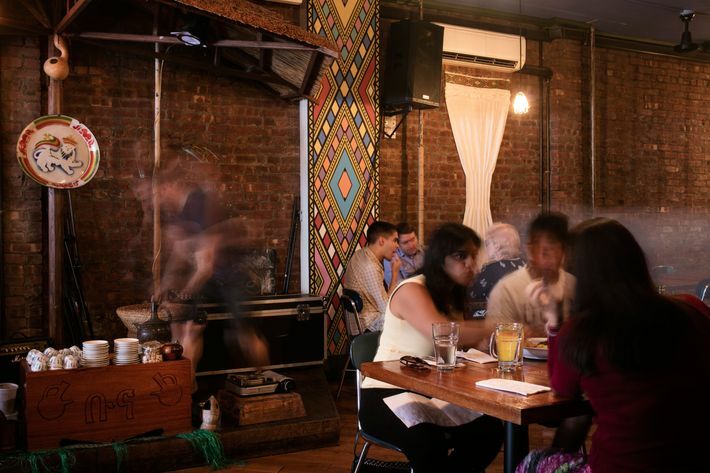 Guadalupe Inn calls itself Bushwick’s Mexican supper club, and that is probably the best way to describe the speakeasy, almost burlesque, interior. (In fact, they host weekly burlesque performances on the stage in the back, covered with a red, velvet curtain when not in use.) The menu, from Mexico City–born chef-owner Ivan Garcia, is just as ambitious as the concept, with dishes like stuffed corn-masa patties called tlacoyitos, served with cactus salsa, and the showstopping trompito al pastor. But even the dishes that might be considered throwaways at other restaurants, like beer-battered fish tacos, are served with care (and, in the case of the fish, a spicy habanero salsa, to boot). Since it first opened in 2010, Momo Sushi Shack has expanded into the storefront next door, so calling it a “shack” these days seems a little unfair. 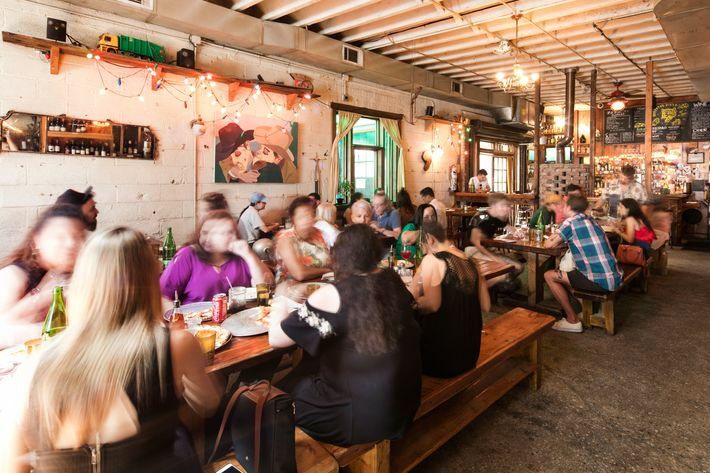 But the main dining room, with corrugated metal ceilings, jackalope taxidermy on the wall, and three long wooden communal tables, retains the comfortably shabby feel of the early days of Bushwick dining. 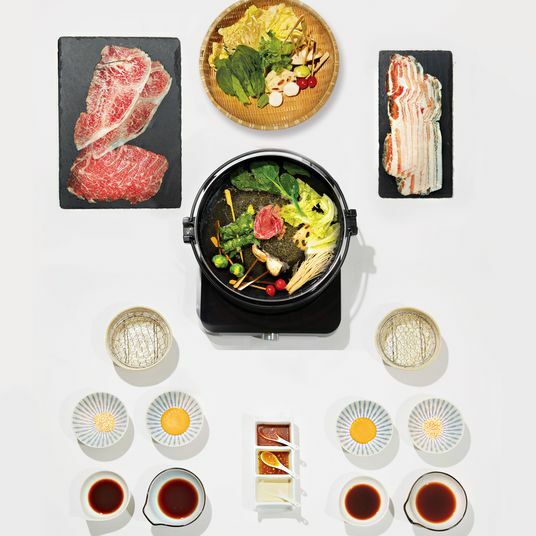 The attitude extends to the playful menu of small Japanese plates and sushi. The most inventive flavor combinations are found in the “bombs,” small rounds of rice topped with fish. Two standouts include the McLow Bomb, a ball of rice topped with tuna, avocado, and wasabi cream, and the Spicy McBomb, tuna with spicy mayo and kataifi, a shredded phyllo pastry. 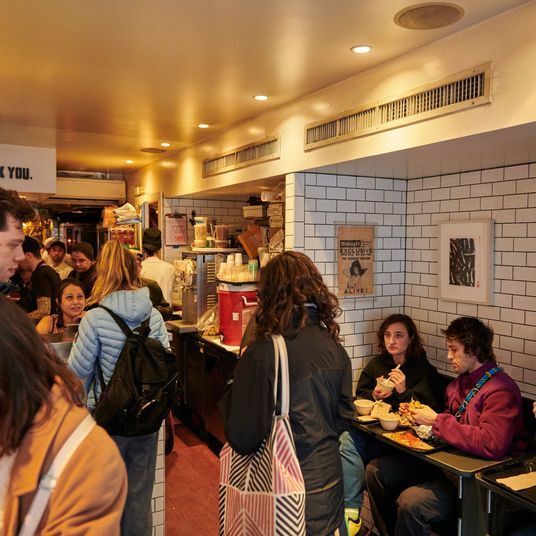 Though Momo is just around the corner from Roberta’s, don’t expect it to be a quicker alternative; at night and on weekends, the lines can be just as long. Sally Roots is a Pan-Caribbean restaurant from the team behind the boxing-themed duo of Sweet Science and Featherweight on Graham Avenue. Though it serves noteworthy jerk chicken, melt-off-the-bone oxtail on a bed of rice and peas, and Jamaican ackee and saltfish, the real crowd-pleaser is the restaurant’s sizable backyard dining area, which is packed for brunch on weekends and seems to invite relaxed, tropical vibes. 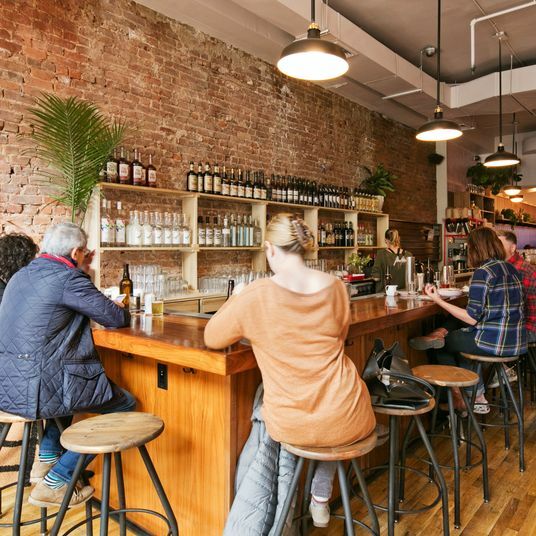 When Brooklyn Cider House opened its doors in 2017, it aspired to usher in a renaissance of New York City’s cider scene, and so far, things are looking good. Five types of cider currently flow from its taps, including a raw cider and a slightly funky half-sour. The space is cavernous, as you might expect from a working cidery, yet reliably full of customers, with a generous outside patio that fills up in nice weather. A portion of the space separating the main dining room from the front bar holds several giant barrels, which aren’t just for show. 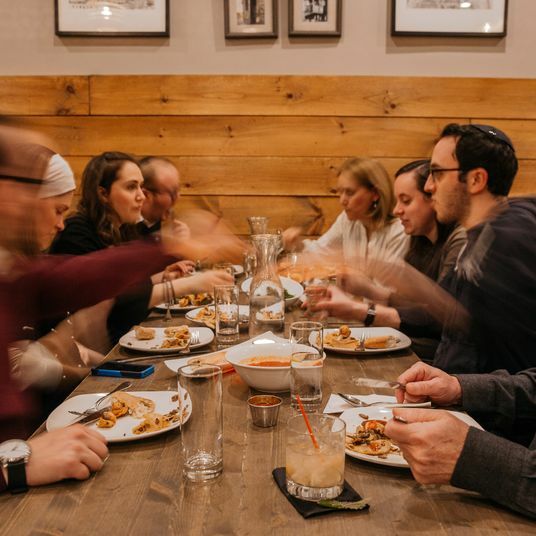 At the prix fixe four-course dinner, which offers an array of straightforward Basque-inspired dishes, you can participate in the ritual of cider-catching between courses, during which the barrels are cracked open and guests can fill glasses straight from the source. Those familiar with the Commodore in Williamsburg will recognize the suburban-basement vibe and campy-looking menu of tiki drinks at El Cortez, though the food is a bit of a departure from Stephen Tanner’s usual fried-chicken-forward fare. Here, it’s all about Tex-Mex: serviceable chimichangas, taco salads served in fried tortilla bowls, and “all-American” tacos with iceberg lettuce and store-bought salsa. But go straight for the queso — smooth, slightly spicy, and so cheesy it’s almost buttery — and you won’t be disappointed. It’s served on a giant platter of nachos that are also loaded with pinto beans, three types of salsa, and radishes, or in a bowl for straight dipping, which, after a frozen mojito or two, will seem like an excellent idea.